Get this Tote Bag sample which is screen printed in 4 colors. To order one with your logo click here. 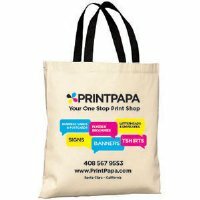 Limit Free bag to only 1 per customer.